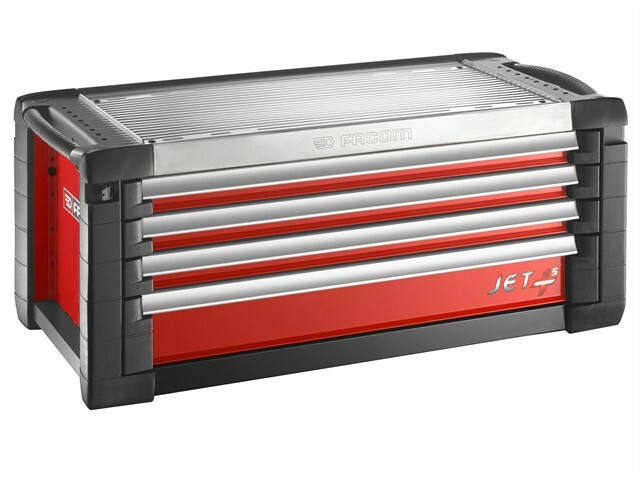 The Facom Jet.C4M5 4 drawer tool chest has all the benefits of the JET+ range and can be stacked on roller cabinets of identical dimension roller chests. It has three 60mm drawers and one 130mm drawer. 3 x 60mm high drawers. 1 x 130mm high drawer. Total Load Acceptable in the Drawers: 145kg. Useful Storage Volume: 125 litres. Overall Size: 48 x 115.4 x 54.6cm.